I love fall, and I adore fall in Colorado. We may not have the reputation of places like New England or Wisconsin, but autumn in Colorado is quite grand, and perhaps it’s been overlooked for too long. 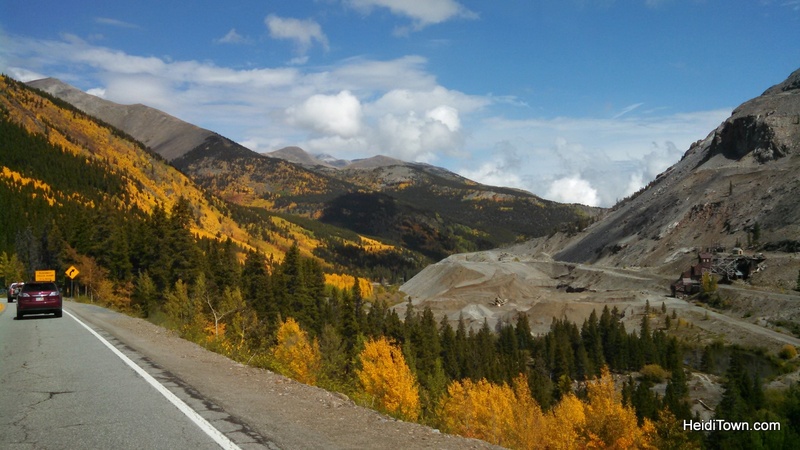 Monarch Pass on September 21, 2014. Shot through the car window with my phone because we were in a big hurry to make it to civilization so that we could watch the Bronco game. I really should have stopped and taken a photo with my real camera. The usual way to celebrate fall in Colorado is to go leaf peeping. Every online and print publication has articles about it; I published my 3-part Colorado fall travel series earlier this month. 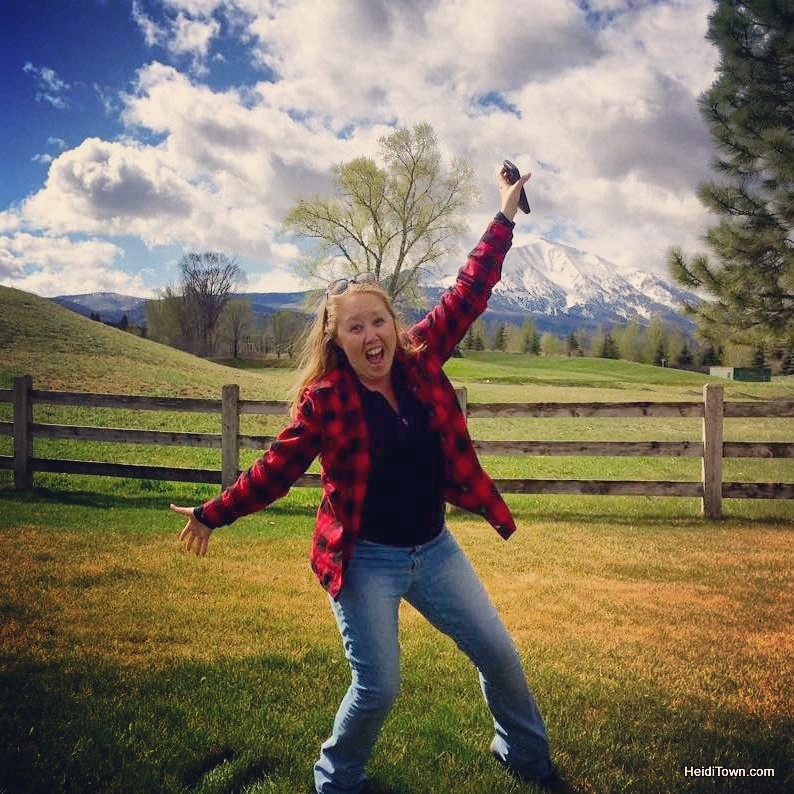 I decided to find some additional ways that you can experience and celebrate all the wonderful things Colorado has to offer during this season of change. 1. EAT. This is the time of year to taste the bounty of Colorado’s summertime harvest and there’s no better place to do that then at The Living Farm CafÃ© in Paonia, Colorado. I previously wrote about my experiences at this cafÃ© and farm here. 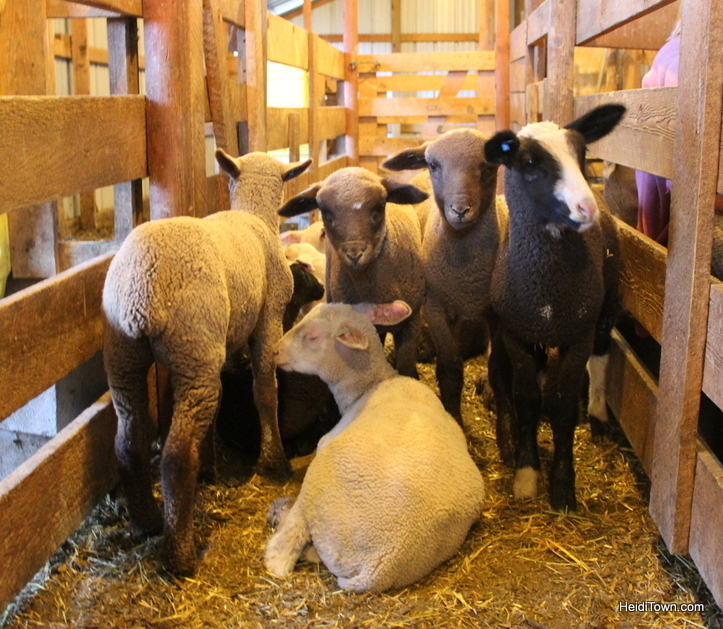 Lambs at The Living Farm in Paonia, Colorado. This fall The Living Farm CafÃ© is hosting a very special weekend. October 3-5th it’s their Apple Weekend Package. For just $400 for two you can experience an array of activities from a cooking class and farm tour to cider tasting and more. The best part? The price also includes your stay at The Living Farm CafÃ© Inn above the restaurant. Learn more about Apple Weekend here. The Lyons Farmette in Lyons, Colorado is another place where you can savor the tastes of the season. The farm serves farm-to-dinner tables throughout the season and also offers classes and workshops on things like how to brew beer and make cheese. Get the juicy details here. 2. DRINK. The Breckenridge Craft Spirits Festival, Still on the Hill, runs October 24-26, and is an excellent way to experience Breckenridge in the fall. Don’t miss the Historical Walking Tour on Sunday, a great way to kick that hangover. And while this weekend’s all about spirits, be sure to visit Breckenridge’s newest brewery, Broken Compass, while you’re in town – say “hi” to Ford from the Mayor. The Fall Back Beer Fest is Saturday, November 1 in Estes Park. It’s not only a fall beer festival featuring over 100 beers, workshops and seminars, but it coincides with the American Homebrewers Association Annual “Learn to Homebrew Day” and a number of AHA sanctioned homebrewing clubs will be present and live brewing. Watch for a Featured Festival write-up about this festival here on HeidiTown.com on October 17. 3. FESTIVAL. Harvest festivals occur around Colorado, but there are a few areas where the harvest is a real part of the region’s economy. Mountain Harvest Festival in Paonia is this weekend. With everything from farm-to-table dinners to opportunities to meet local farmers, artists and musicians, this is an authentic harvest festival right down to its earthy core. More details here. 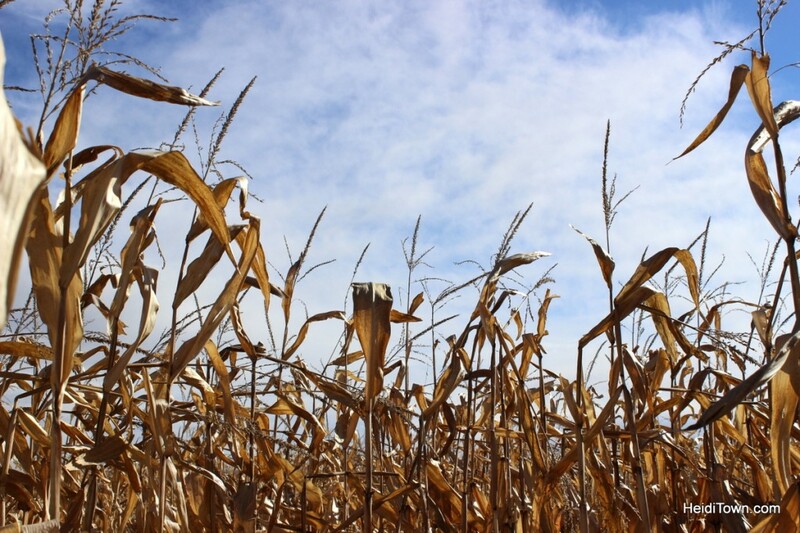 Several Colorado farms offer fall harvest festivals that happen daily throughout the season. For instance, Miller Farms in Platteville is a chance to explore a working farm and even harvest your own vegetables. The cost of admission allows visitors to visit the petting zoo, get lost in a corn maze, climb on a fire truck and so much more. This place will tire out the kiddos. 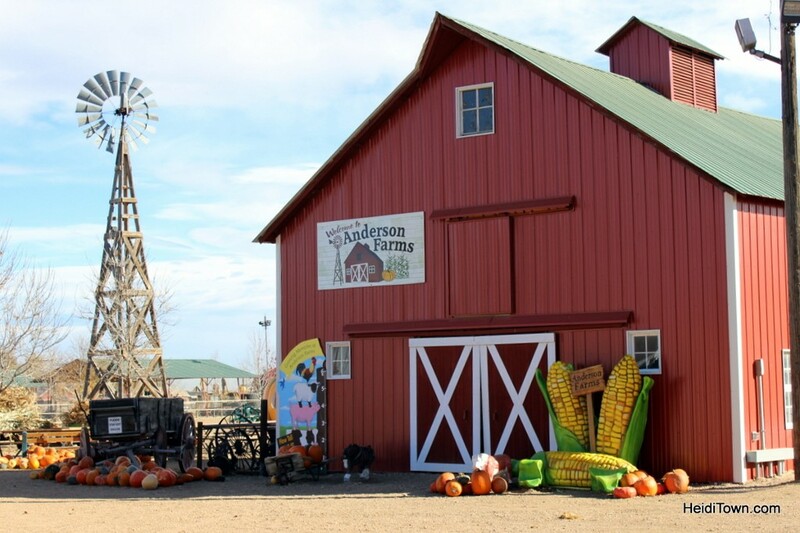 Anderson Farms, in Boulder County, is another place to experience fall, with their corn maze, pumpkin patch and Terror in the Corn, a frightening “live” haunted “house,” it will take an entire day to see it all. If you’ve discovered a great way to celebrate Colorado fall, please share it with us in the comments. This is a great article! Do you if there are any places to go apple picking? Thanks for stopping by, Shantel! I don’t know off the top of my head where to pick apples, but check out this website. It may help.